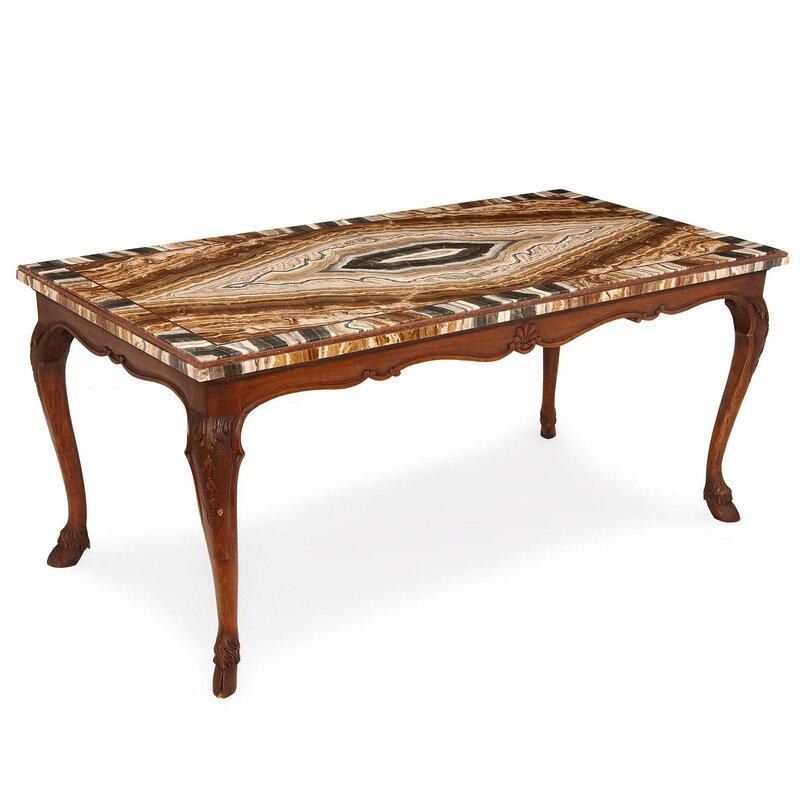 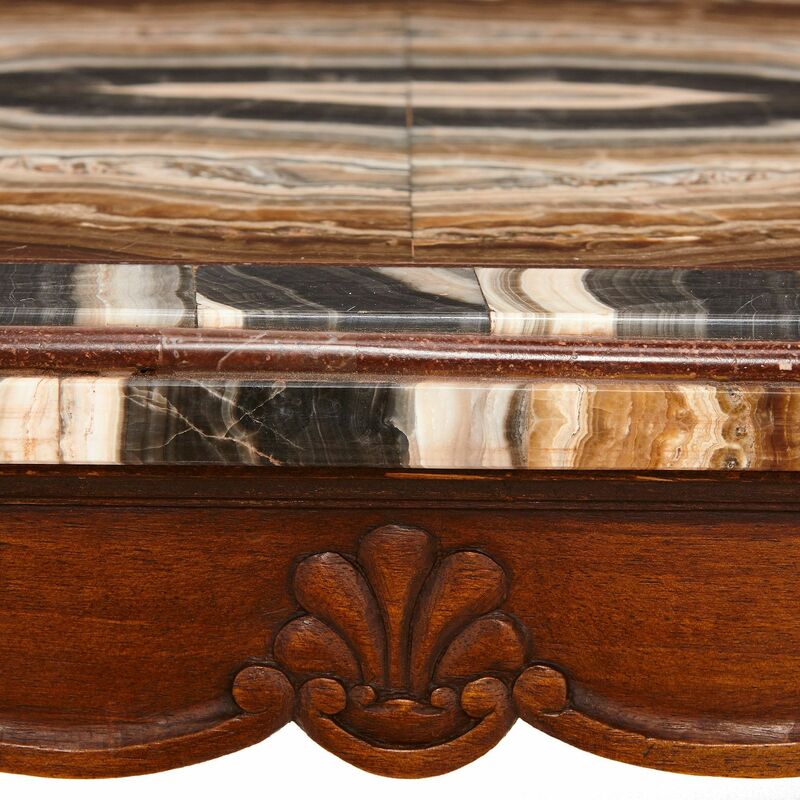 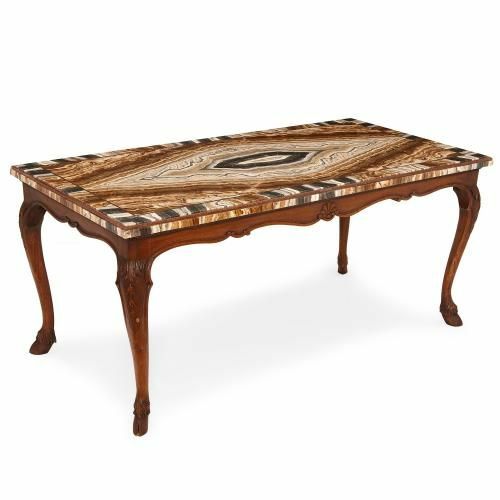 This antique coffee table dates from the 18th Century and yet has a sleek, modern feel, thanks to the timeless design of its onyx and porphyry top. 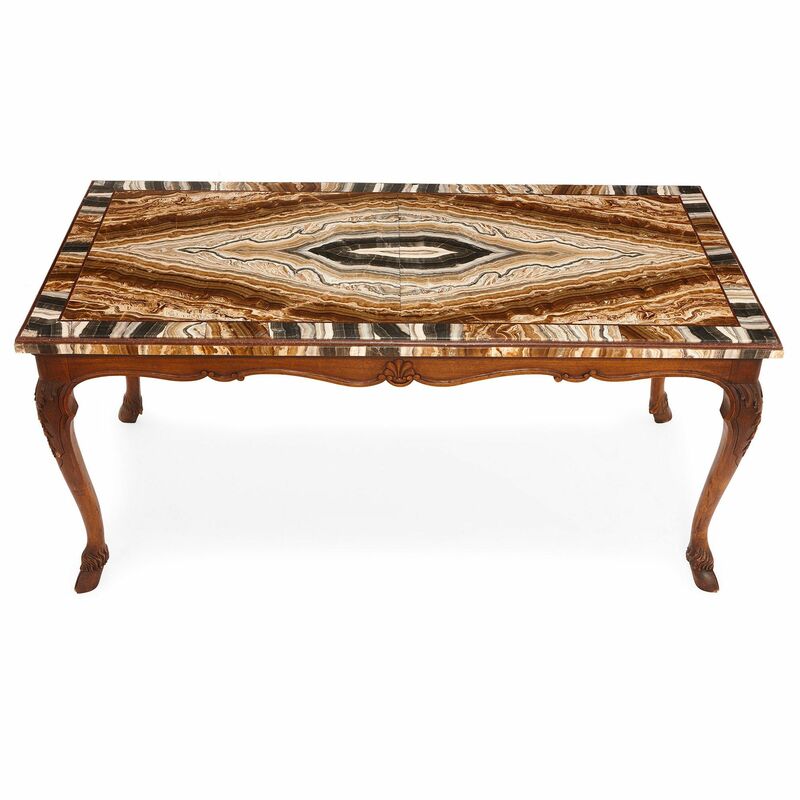 The table is rectangular in form and sits on a carved wooden frame with four curved legs which terminate in hoof feet. 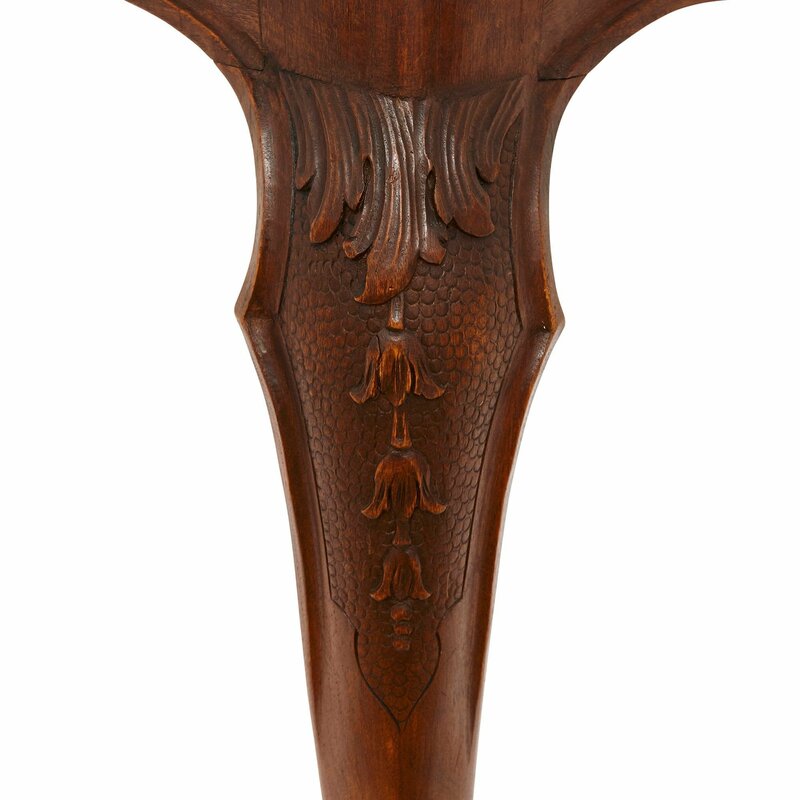 The top of each leg and the skirting of the table are carved with acanthus leaf and rocaille motifs. 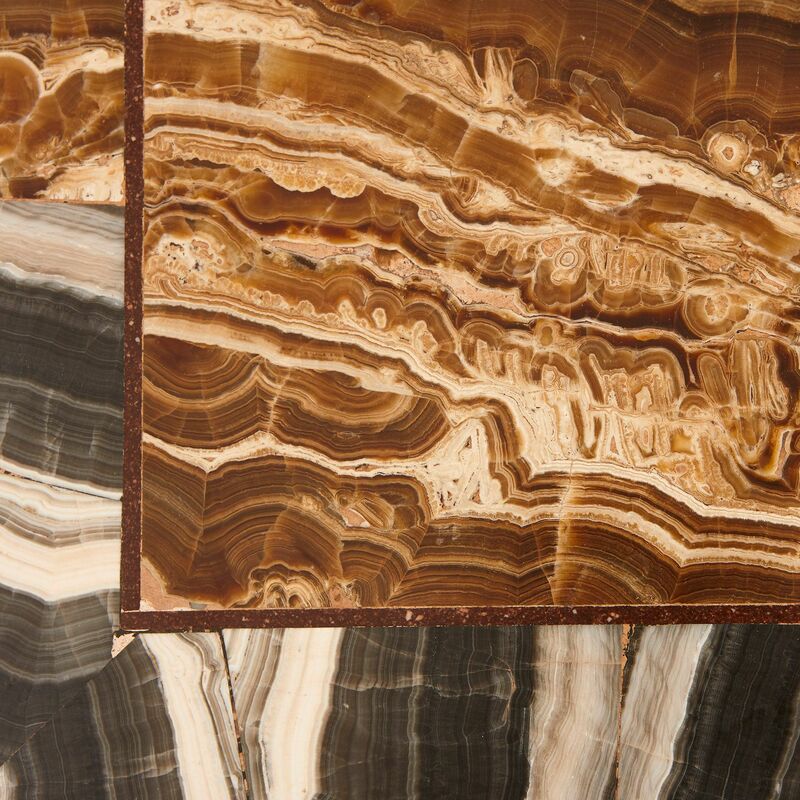 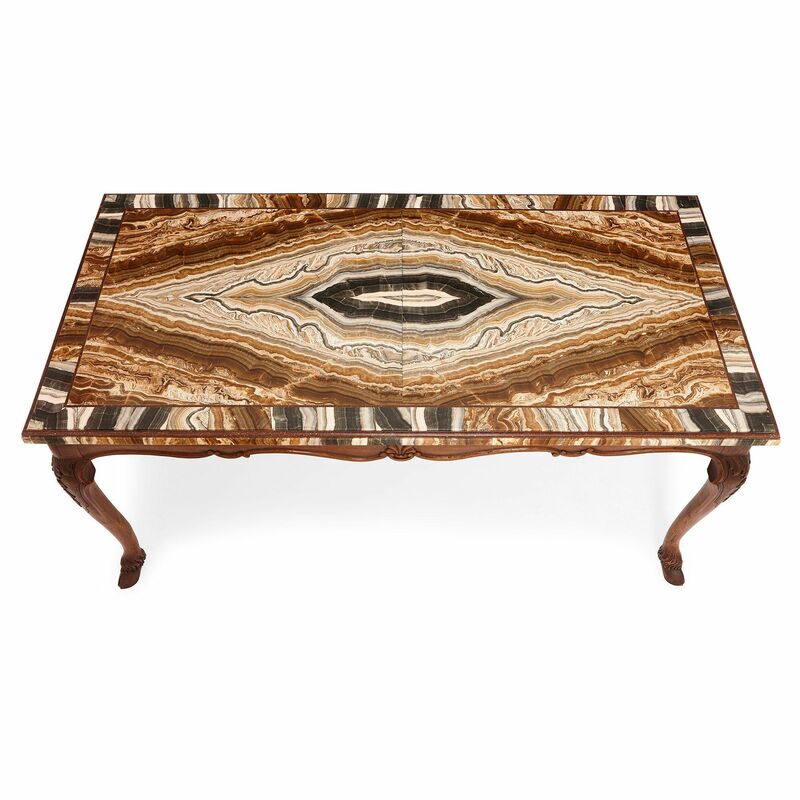 The rectangular table top is built from veined brown, black and white onyx inside a band of porphyry around the edge of the top.